Elizabeth Arden - FREE 7 PC Gift w/$49 Purchase & More! This Mother's Day - Elizabeth Arden is helping celebrate with a 7 Piece Deluxe Gift Set with Free Shipping with any purchase of $49 with code MOMGIFT at checkout. Plus receive a FREE Bonus Sample of Ceramide Youth Restoring Serum with any purchase of $69 with code SERUM at checkout. Yes - you can stack these deals. This means you can grab yourself a little something and get a FREE Gift to give to MOM! Have a wedding shower coming up or graduation? Mikasa is offering an Extra 20% Off your order with code MAY20 or SPRING20 at checkout. French Countryside Amethyst adds a unique shape and a pop of color to your table. The gracefully scalloped edges of the inverted-bell shaped bowl are superbly cut and rise in a gentle sweeping cascade from the hourglass stem. The understated beauty perfectly compliments any table setting, while the classic design makes a stylish dining statement. Goes beautifully with our French Countryside dinnerware, but will coordinate with any dinnerware set. Set of 4 iced beverage glasses, each holds 18-1/4 ounces. Hand washing recommended. Exclusions apply, Valid until May 12th. If your kids love Animals as much as mine - they'll love these Zoobooks with Up to 70% savings, FREE gifts and FREE Shipping. Each monthly issue of Zoobooks "captures" one of 60 different animals through magnificent photography, illustrations, diagrams, descriptions and includes interactive activity pages. Kids get "up close and personal" with the world's most amazing creatures. These are great too - for Book Reports! We used with my son this year in 4th grade. Hurry over and Save 40% off Graduation Announcement or Invitation orders of $75 or more using the code AFF4075FS at checkout! NOTE: Offer expires 5/12/2015 (11:59 P.M. PT). Save 40% off graduation announcement or invitation orders of $75 or more using the code AFF4075FS. Merchandise must total $75 or more, before taxes, rush processing, proofs, shipping and other charges for promotion to apply. This promotion code cannot be combined with other offers. Offer applies exclusively to graduation announcements and invitations and is not applicable to previously placed orders, shipping, taxes, rush processing charges, calendars, photo books, gift certificates and personalized postage stamps. Offer is only valid on Tinyprints.com and is not applicable on third party or partner websites. To prevent fraud or abuse, we reserve the right to discontinue or modify this offer or cancel any order. 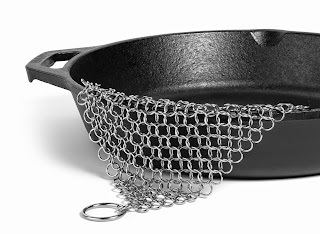 Hurry over and grab this Highly Rated/Best Seller Hudson Cast Iron Cleaner XL 7x7 Premium Stainless Steel Chainmail Scrubber for $15.99 (Retail $39.99). Here's what others are saying "My mother gave me an iron skillet when I left Ohio for California telling me I was going to need it. That was 1967 and I am still useing it in 2014. I used a variety of cleaning methods and all worked but not as easy as this Hudson 7x7 chain link cleaner. Other reviews were right on. However I should wait a little longer until skillet cools more."